Since Thanksgiving is next week I am cleaning out my freezer to make room for all the turkey and yummy foods that will be taking over in a few days. 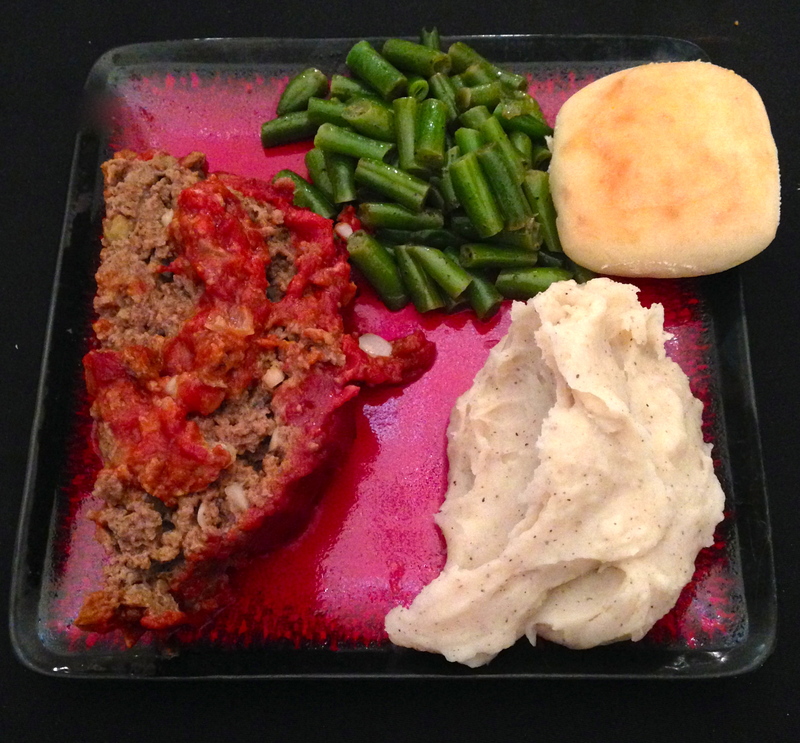 I had a package of ground beef I had frozen and forgotten about, so I thawed it out and made my delicious meatloaf. I have always loved meatloaf and now that I am thinking about it I want to eat the leftovers for lunch. It is super easy to make and fills your house with wonderful smells. I served this with fresh green beans, mashed potatoes and yeast rolls. Preheat the oven to 350. Mix all the ingredients together in a mixing bowl adding the bread crumbs last. Spray a 9×13 baking dish with nonstick cooking spray and form a log shape in the middle of the dish. Mix all the sauce ingredients together and cover the meatloaf with the sauce. Bake uncovered for an hour or until the internal temperature reaches 160. Enjoy!